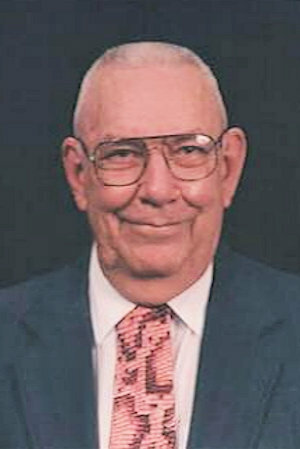 Obituary – Frazier, William Donald « Perry High School Alumni Association, Inc.
William Donald Frazier, 92, passed away at his home on December 25, 2016 in Stillwater, Oklahoma. Funeral services will be held at 2:00 on Monday, January 2, 2016 at Strode Funeral Home Chapel. Interment will follow at Sunset Memorial Gardens in Stillwater, Ok.
William (aka Don) was born to William Hayes Frazier and Ada Lee Alexander on September 20, 1924. He attended Perry High School and went on to earn his BA and MS from Phillips University and his DED from OSU. He taught band and vocal music in Western Oklahoma. William also spent thirteen of his working years as an elementary and Jr. High principal. He spent the last 20 years in research as Director of Research for the St. Dept. of Vo-Tech Education before his retirement in 1986. He loved music and enjoyed singing and playing the piano whether it was with his wife or for some organization. William took the hand of his high school sweetheart, Iola Lee on August 13, 1944 in Augusta, Georgia while serving in the Army. Iola passed from this life May 25, 2000. Years later William was fortunate to meet his second soul mate in LaDanta Teal Foudray. They were married December 21, 2007 and were together when he passed. William was a member of several fraternal orders including Frontier Masonic Lodge, St John’s Commandery, Royal Arch Chapter, Council of Royal and Select Masters, York Rite Masonic Bodies, Ancient and Accepted Scottish Rite of Freemasonry, Order of the Eastern Star, Order of Amaranth, Knights of York Cross of Honor. William is preceded in death by his wife, Iola; daughter, Suzanne Lee Thomasson; Sisters, Marguerite Albin, Flossie Mae Elkins; three brothers, Floyd Wendell Frazier, Rayborn Alexander Frazier, Phillip Hayes Frazier; Grandson, Donald Randolph Thomasson. William is survived by his daughter, Cheri Lynn Hall; two granddaughters Virginia Wilson, Coyle and Donella Hopper, Stillwater; one grandson Bryan Hall, Edmond; ten great-grandchildren and 6 great great-grandchildren. In lieu of flowers contributions may be made to Eye Foundation at www.eyefoundationofamerica.org or to the Cancer Society, P.O. Box 22718 Oklahoma City, Ok. 73123-1718.